Powerful proprietary formula that maximizes oxygen capacity, supports the body's ability to fight mucus and combat seasonal allergies. It acts as an anti-bacterial, anti-viral and anti-fungal to fight off a variety of issues that could lead to respiratory distress. Used this on my older heevy horse. 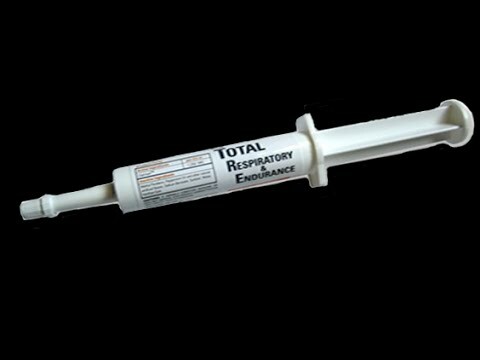 we used this on a long trail ride and I realized we could have gotten by using just half the tube as it opened up the airways so much that he got a bloody nose. It was an extremely warm windy day and we were climbing along some pretty tough hills. He did wonderfully and no coughing. Went the next day out and used only a half tube and worked awesome. Very happy with this product. Recommended it to my girlfriend for her heevy horse. Dosage for 900 lb. Horse? what is expiration date on product? What size do I give a 100 lb mini horse?